Valentine's Day is coming, it will be here before we know it! 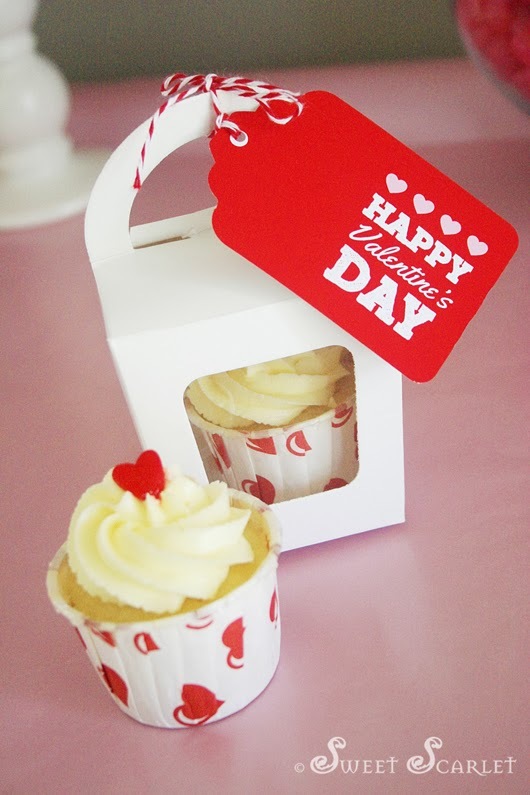 So, to celebrate I have created these cute, simple and clever ideas for Valentine's Day Classroom Favors. This very cool classroom favor card has an editable field where you can add a recipient's name, the giver's name or a short message using Acrobat Reader (instructions included). Just add your candy to the card and you are done! Card measures 3.5"h x 4.5"h, 4up on a 8.5" x 11" sheet. 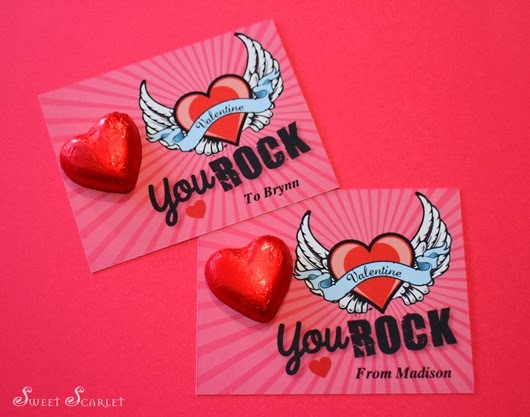 Printable file is available as an instant download in our Etsy shop here: VALENTINE YOU ROCK! 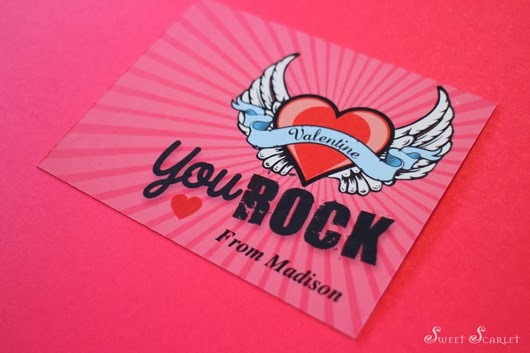 This Valentine's Favor is just so cute for the Little Man in your life. I used the Wilton Mustache Candy Mold to make these super cute chocolate mustache lollipops, available HERE. This printable tag measures 2.25"w x 3.5"h, 8 tags per 8.5" x 11". This tag can be cut by hand, or will fit the Uchida Xtra Giga Merchandise Tag Punch available HERE. 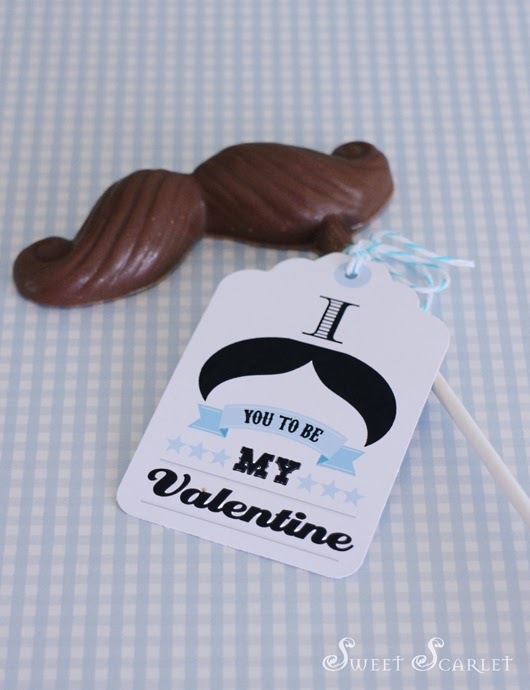 This printable file is available as an instant download in our Etsy shop here: I MUSTACHE YOU TO BE MY VALENTINE TAG. 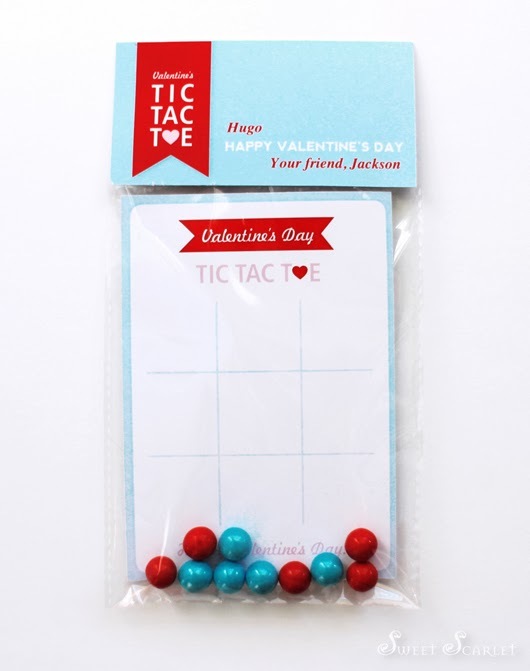 Make your child's classmates smile with this TIC TAC TOE Valentine's Game Card and Bag Topper. Add any candy you wish as game pieces. I have used sixlets here, but you could use M&M's, Skittles, or anything that takes your fancy. Bag Topper has two editable fields to add a "TO", "FROM" or a short message using Acrobat Reader – instructions are included. Game Card is 3.5"w x 5"h, bag topper finished size is 4"w x 2"h and suits a 4" wide bag. 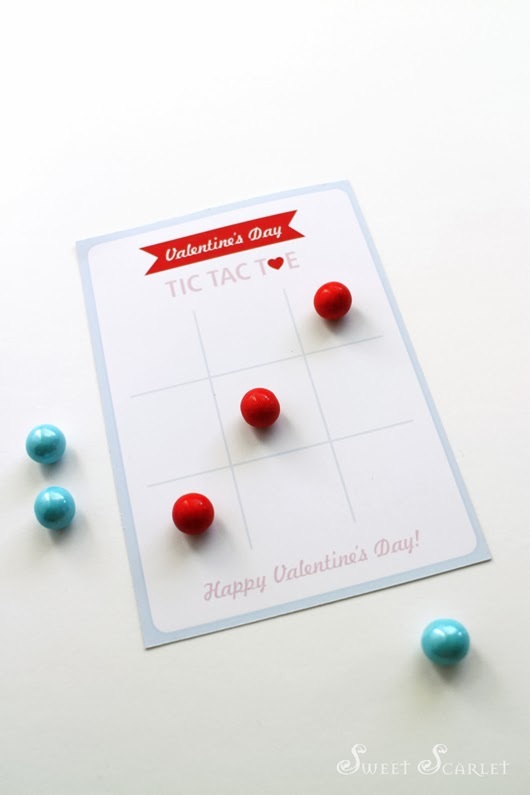 This Valentine's Printable is available as an instant download in our Etsy shop here: VALENTINE'S TIC TAC TOE SET. 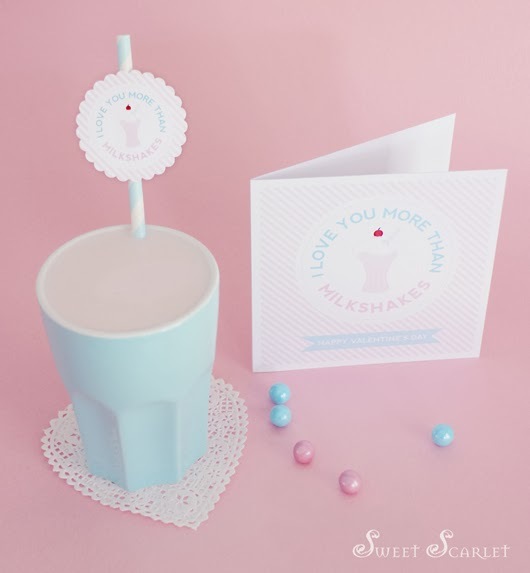 Make your little one a super special Valentine's Day Snack with this printable duo – printable greeting card and 2" circle straw tag. Greeting card finished size is 4.75" square, straw tags are 2" circles. 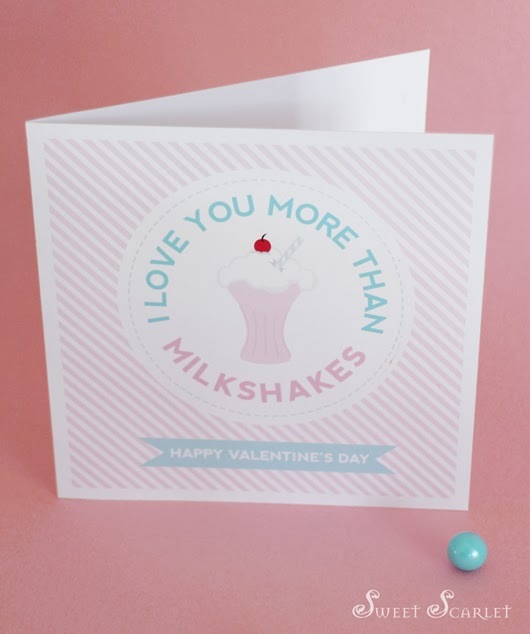 You can purchase this printable duo as an instant download in our Etsy shop here: I LOVE YOU MORE THAN MILKSHAKES. This fun Valentine's printable bag topper is perfect as a classroom favor for your little monkey! File also has an editable field to add a "TO" or "FROM" or brief message – instructions included. Just add your bananas candy and you are done! Bag topper finished size is 4"w x 2"h, and suits a 4" wide bag. 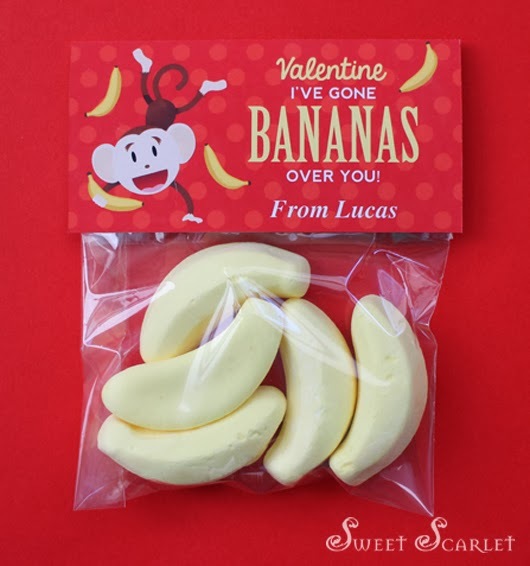 This editable, printable bag topper printable file is available as an instant download in our Etsy shop here: I'VE GONE BANANAS OVER YOU. 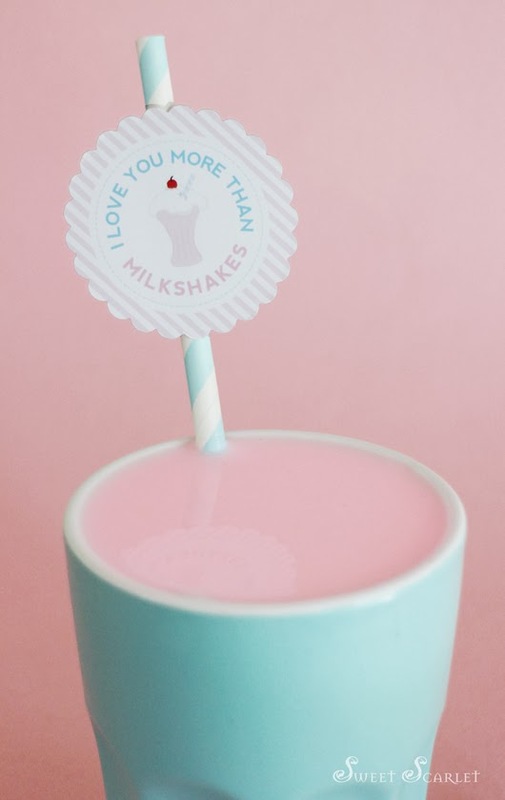 This cute little printable tag can add a little sweetness to any Valentine's gift. Attach this little tag to berry candies or homemade goodies. I have used these darling mini picnic baskets available here. Just print and trim this little tag to circles using a 2" or 2.25" circle craft punch or leave square. Dots are 12up on an 8.5" x 11" sheet. 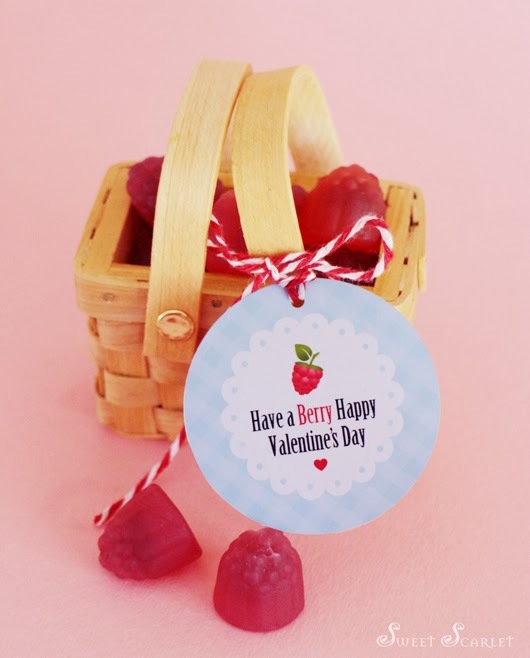 You can purchase this cute tag as an instant download from our Etsy shop here: HAVE A BERRY HAPPY VALENTINE'S DAY. 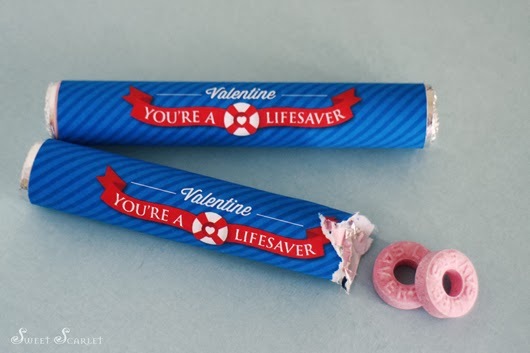 These cute Valentine's Lifesaver printable wrappers are perfect for classroom favors. Just pint, trim and wrap around a 1oz (33g) packet of Lifesavers. These wrappers are 3up on an 8.5" x 11" sheet. Just print, trim and add to Lifesaver packets using tape or glue tape. 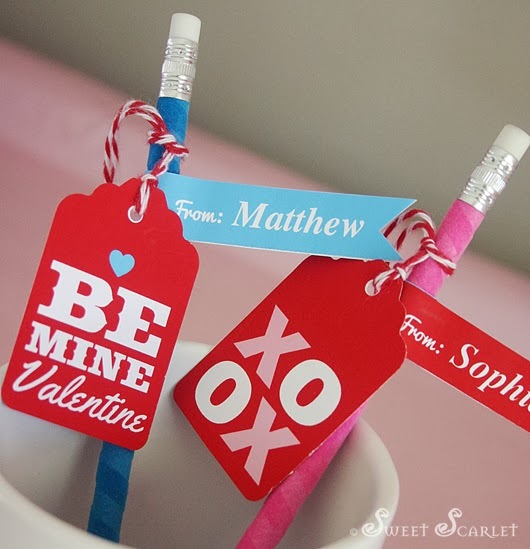 From our Valentine's LOVE Set, these printable swing tags and editable straw flags are perfect to add to pencils, erasers and almost any favor for Valentine's classroom favors. These mini tags come in six designs (5 1/8" x 3 1/8") with editable straw flags to add "From" information – instructions included. Also included in this set are large swing tags, perfect for that special Valentine's gift (5 1/8" x 3 1/8"). You can purchase this special tag set as an instant download in our Etsy shop here: VALENTINES SWING TAG SET. 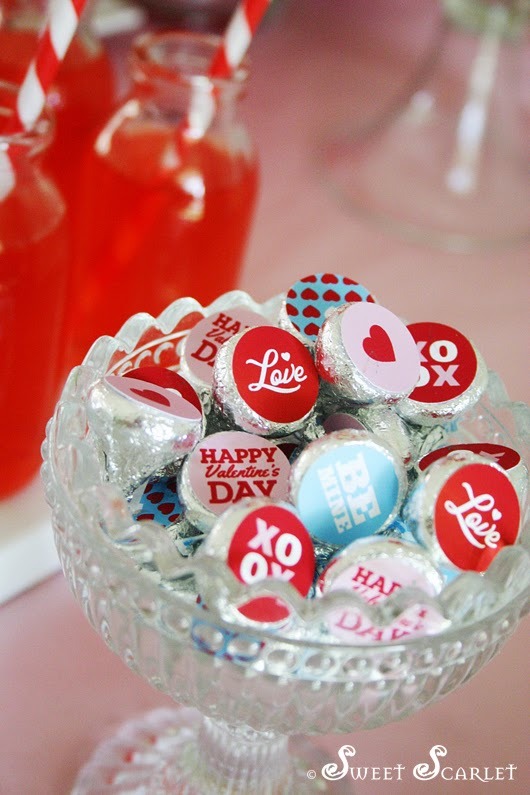 Make your Valentine feel extra special with these printable Hershey's Kisses Dots. Printable dots are 3/4" in diameter with seven designs on a 8.5' x 11" page. You can purchase these dots as an instant download in our Etsy shop here: HERSHEY'S KISSES DOTS. That's it! 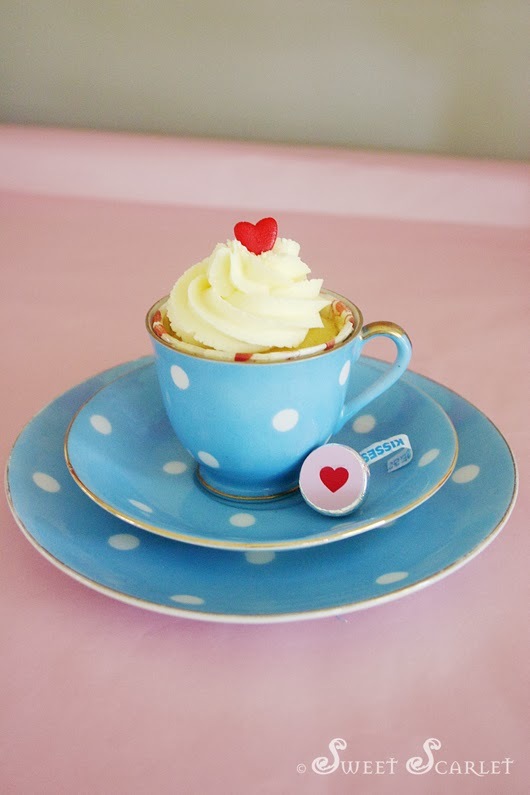 Lots of ideas here for a perfect Valentine's. Wishing you a fabulous one filled with love!